Ranfinikus is a full time international professional entertainer. Ranfinikus has been dazzling his audiences for over 11 years. Ranfinikus started out as a professional stage hypnotist in 1997, and has hundreds of amazing shows under Ranfinikus's belt. 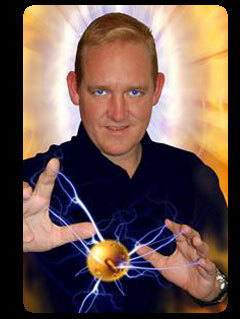 In 2000 Ranfinikus was trained by one of the best professional magicians in the country (Jimmy Ritchie). Now, Ranfinikus is a seasoned professional magician, specialising in stage mentalism. Ranfinikus is the only stage mentalist in Gauteng. Ranfinikus uses a blend of comedy and hypnotic charm, where Ranfinikus creates impressive feats of mind reading, telekinesis, hypnosis and future predictions. Within seconds, Ranfinikus captivates his audience and sends them on a journey of fascination and wonder.